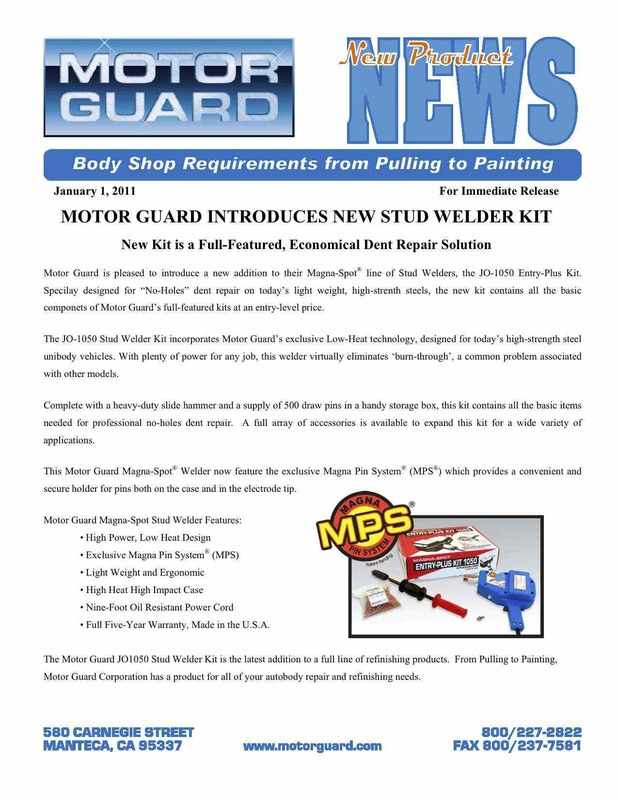 This is the new Magna-Spot stud welder from Motor Guard. You can read about all of the new features below, but I would like to point out the MPS technology, which grabs the pins without falling out as with older models. Motor Guard sent me one to try out. You can watch the video below to see it work in action. The list price is $385.19, but the last time I looked on Amazon is was under $200. Visit Amazon to see what their current sales price is.